Location - "The Burg" is located half an hours drive west of Cincinnati Ohio via I-71 and I-275. Alternatively it's 1 hour 40 minutes South East of Indianapolis via I-74. Parking - Right beside the track. Premiere Meeting - There is only one place to be when the World of Outlaws Sprintcar Series visits. 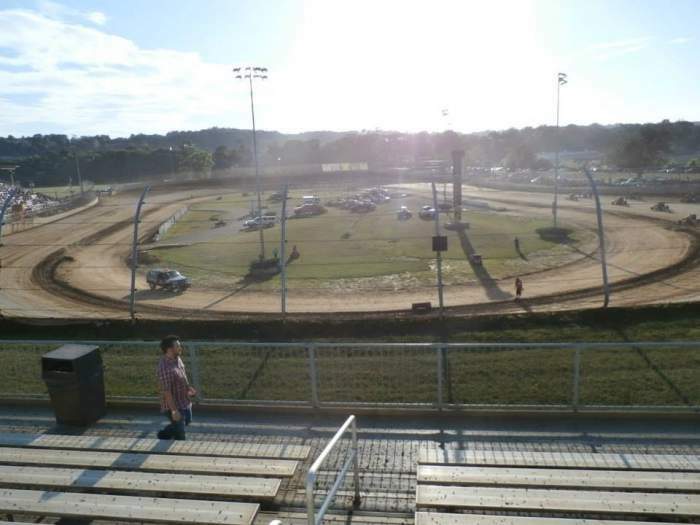 It would be quite something to see the best Sprintcar drivers on the planet take on this place. 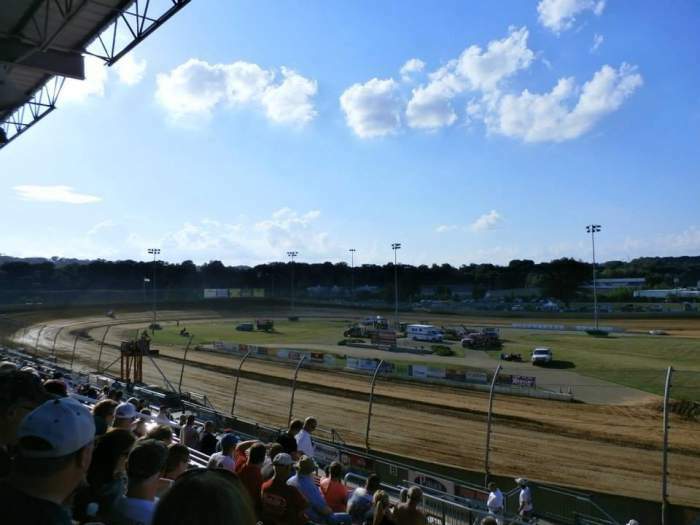 Also worth attending - Lucas Oil Late Models, USAC Sprintcars, USAC Midgets, School Bus races, take your pick. 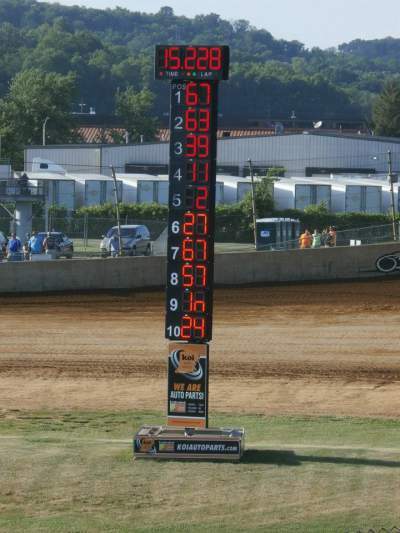 There is plenty to see in the Lawrenceburg schedule. Best spot to sit - The main grandstand is the place to be. 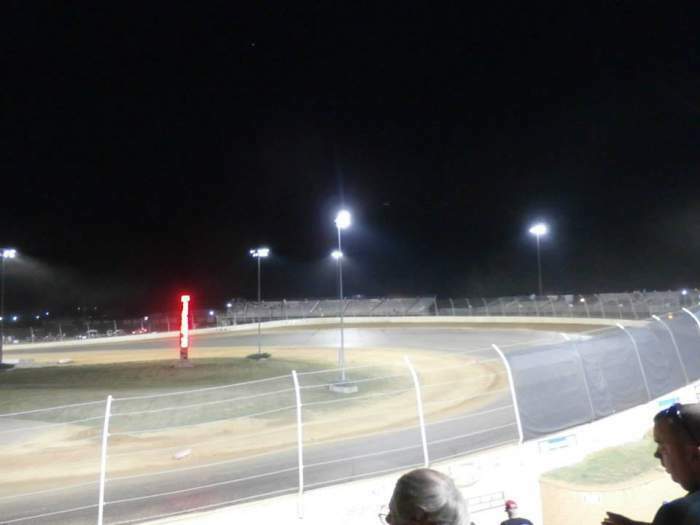 Percy tried sitting in the turn 1/2 stand when he attended and it was like being in a bombing range, dodging dirt projectiles being hurled at you every corner. There are further stands on the exit of turn 2, these might be worth a look. A mist tent was set up under the main grandstand when Percy visited. It made the experience somewhat more pleasant because when the temperature rises at this place there is no escape. 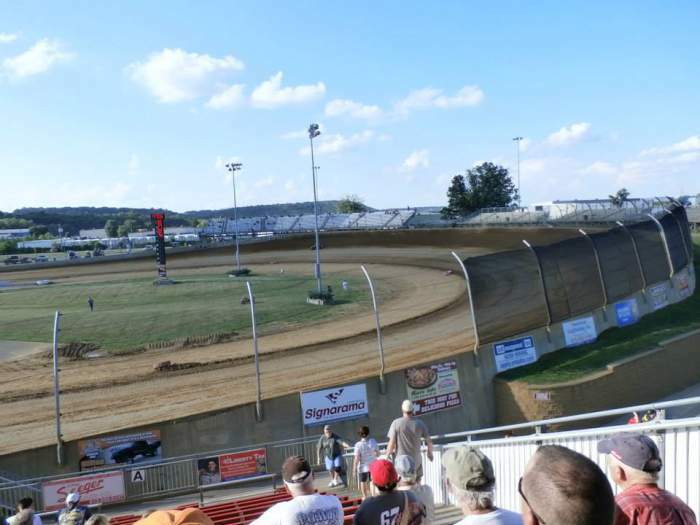 Classes run - Midgets, 410 Sprintcars, 305 Sprintcars, non-wing Sprintcars, Late Models, US Modifieds, Pure Stocks, Hornets. 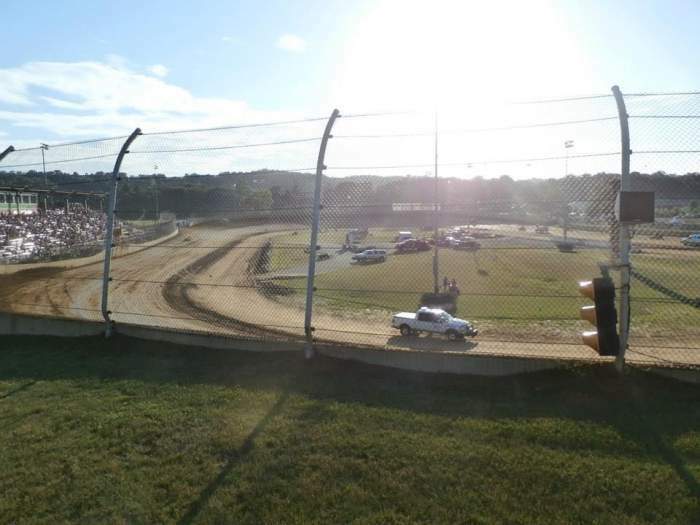 Uniqueness - "The Burg" is a big dirt track at 3/8th mile or 600 metres. 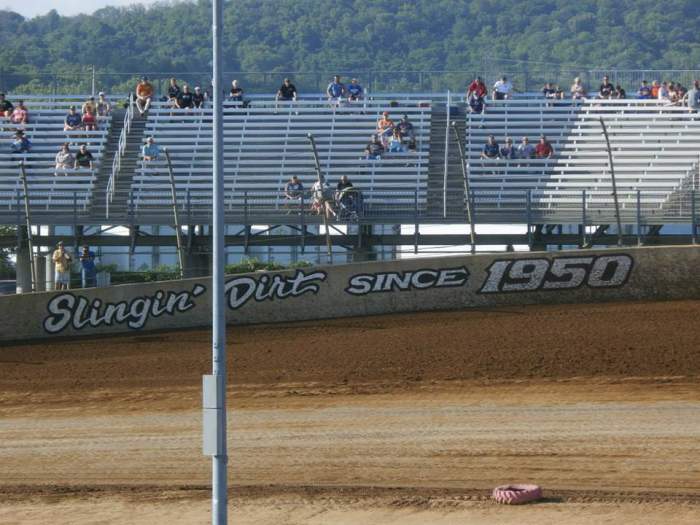 It's also wide and massively banked, the top of the corners are a long way above the pole line. Sometimes with big tracks fields can be spread out and racing subdued but the opposite was the case when Percy visited. The tiny Midgets raced wheel to wheel. All sorts of lines were available to drivers and the standard of racing was of the highest order. The Burg also had a good variety of food and some of the nicer toilets.